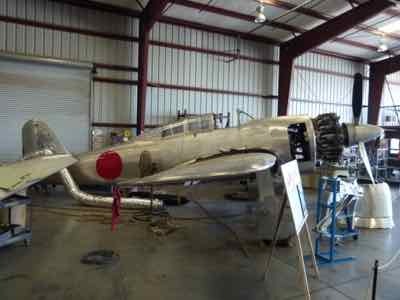 Planes of Fame at Chino California is a museum worth visiting on one of their monthly events. These flying days are held on the first Saturday of the month. You can check their website to see what planes are featured each month. Generally they will fly an "appropriate aircraft"... and usually more than one. You just never know what great antique airplanes you'll see flying. 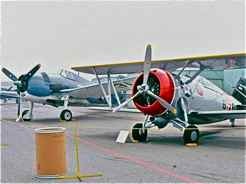 What Kind Of Antique Airplanes? Stroll through the buildings. 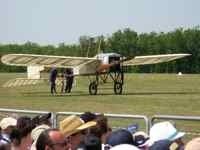 A number of the aircraft are the only surviving examples of their type. 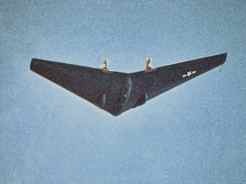 One of our favorites is the N9MB Flying Wing. Mark has always loved "wings". 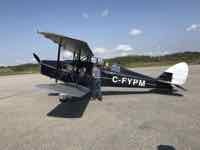 We donated a small amount of money to this project years and years ago and got to see it fly on its maiden flight after complete restoration. And she's still flying. We generally see her when we go to Wings Over Camarillo. 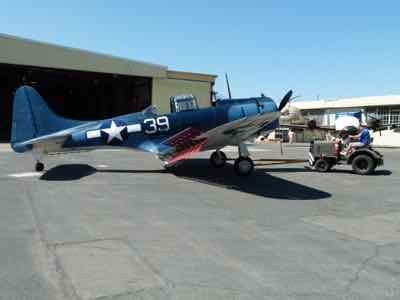 She flies for some of the Chino shows and others around southern California. 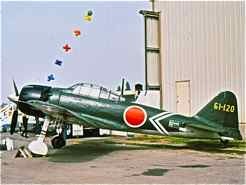 There are Japanese aircraft including a totally authentic flying Japanese Mitsubishi "Zero" fighter. so you can see a Grumman F4F Wildcat, a F6F Hellcat, and F7F-3N Tigercat and a F8F-2 Bearcat. 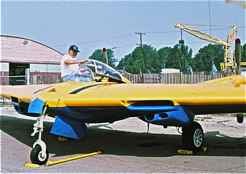 They also have an F3F-2 Flying Barrel that flies and a Grumman F9F-5P Panther on static display. In hiding in the various building are about 150 aircraft. They say that about 30 are flyable. 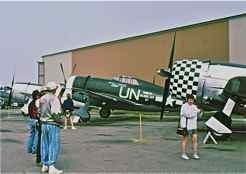 And the warbirds are flown regularly. Their big annual Chino Air Show is usually in May. You can see planes fly at their monthly events, but you'll see lots in the air at the airshow. The Chino Air Show draws visiting aircraft as well as spectators, so you may see up to 50 aircraft flying throughout the day. 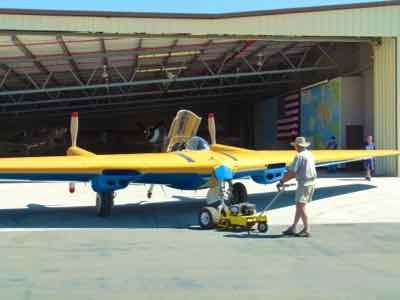 They are dedicated to keeping these historic aircraft flying and sharing their collection with the public. On many weekends you can see a all kinds of interesting groupings of old warbirds flying. Where Is Planes of Fame? It is located in Chino, California. The museum is open 9-5 everyday except Thanksgiving and Christmas. Check their website for driving directions. They have a sister facility in Arizona. On your way to the Grand Canyon National Park, stop in to see the Planes of Fame at the Grand Canyon Valle Airport. I don't know about flying IN any of them... but Planes of Fame is a great place to find lots of antique airplanes and see them fly.